Q: What are your mobile hours? Q: Do you offer artificial nail services? Q: Is your business insured? A: Absolutely. We do have independent coverage. Q: Why are deposits for services collected in advance? A: Our service providers are strictly mobile and much detail goes into preparing in advance for a mobile service to ensure that you receive quality service. Deposits confirm the date and time of your appointment and it also secures the "time" of each service provider. Deposits compensate the Mobile Service Provider in the event of a last-minute cancellation while en-route to a client location or unexpected events on behalf of the customer/client. Our service providers are professional and skilled in their respective industries and we value their time and expertise. A: The only time we charge a parking fee is if the service provider has to pay for parking. There is an $6.00 charge added to the final invoice if the mobile provider has to pay for parking deck fees. Q: Do you offer home-bound services? 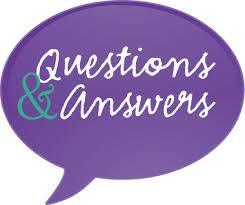 A: Yes, our experienced Nail Techs service the home-bound populations. We cater to the the physically disabled and mentally challenged who cannot leave their homes and this includes Adults and Children. ​Q: How are your services performed? A: We bring everything that we need to efficiently perform the service of your request. Our Buff-n-Go is packed with what we need to professionally perform your services. We carry towels, polishes, lotions, retail products, sanitizing solutions. Q: Do you accept SAME DAY appointments? A: We encourage at least a 48-hour advance notice for mobile services. There are some instances where same day appointments are granted, but we do favor an advance notice to allow for preparation and availability. Q: Do you take online appointments? Q: Do you offer services to Residential Condos/Apartments? A: Mobile salon services require a 24-48hour cancellation notice. If a cancellation notice is not given, you will not be able to make another appointment without paying a $25 cancellation fee via pay pal invoice. Q: Do you use professional products? A: Yes. We use professional commercial products along with a line of organic and natural products that we incorporate into our natural nail and pedicure services. Q: Are your mobile services just for Women? A: At this time we only offer mobile services for Women. We will, however, provide mobile services for Men residing in Hospitals, Rehab Centers, Nursing Homes and Retirement Facilities. Q: Do you provide after hour appointments? A: Emergency or After hours appointments are available at an additional service fee. A: Do you offer services for kids? A: Do you offer retail products? Q: Yes. We carry retail products with us during our mobile services. Typically what we have on hand are the Peppermint Vanilla Manicure and Pedicure Scrub and the Whipped Shea Body Cremes that we use in our Mani/Pedi services. If there is a particular nail or pedicure product that you would like, please let us know in advance, and we just may be able to get it for you. Q: Do you offer promotions and specials on your services? A: From time-to-time, we do offer specials and deals on our services. You must check our FB page or join our email listing to receive notice. Sign up on this website under our "contact" tab or via email at: themobilenailtech@rocketmail.com. Make sure to put "ADD ME" in the subject line. Q: How are your mobile services performed? A: We service our clients with the revolutionary "Buff-n-Go"-designed by a fellow Nail Tech. This handy mobile device carries all of the essential products needed to provide salon quality services on location. In addtion, the Buff-n-Go let's out into a nail table for easy and efficient services for both the Nail Tech and client. Q: What time do you take your first mobile appointment. A: Mobile appointments can be booked as early as 8am during the Fall/Winter and starting at 6am during the Spring/Summer. Q: Why are the mobile prices higher than traditional salon prices. A: Mobile services are considered a premium service--we bring the salon to you. The price increase reflects travel time, mileage, setup and take down of equipment needed to efficiently perform services requested, performance of service and time involved. Our beauty professionals and Nail Techs have invested many hours of training into their craft as well as many hours spent yearly obtaining their CEU (continuing education) hours as mandated by the North Carolina State Board of Cosmetics and the price reflects the dedication and effort put into providing you with exceptional service.